Hyundai i30 Performance, Engine, Ride, Handling | What Car? None of the engines in the regular hatchback is especially powerful (the i30N hot hatch is a different kettle of fish), and the range of powerplants is smaller than those in rivals such as the Ford Focus and VW Golf. Performance is no more than adequate, although that’s all that most buyers will expect. Our favourite engine is the entry-level turbocharged 1.0-litre petrol. It’s reasonably flexible and feels at home in town and on the motorway. It’s so good, in fact, that the more expensive turbocharged 1.4 petrol seems a little redundant – yes it’s quicker, but not by much, and it uses more fuel in the process. 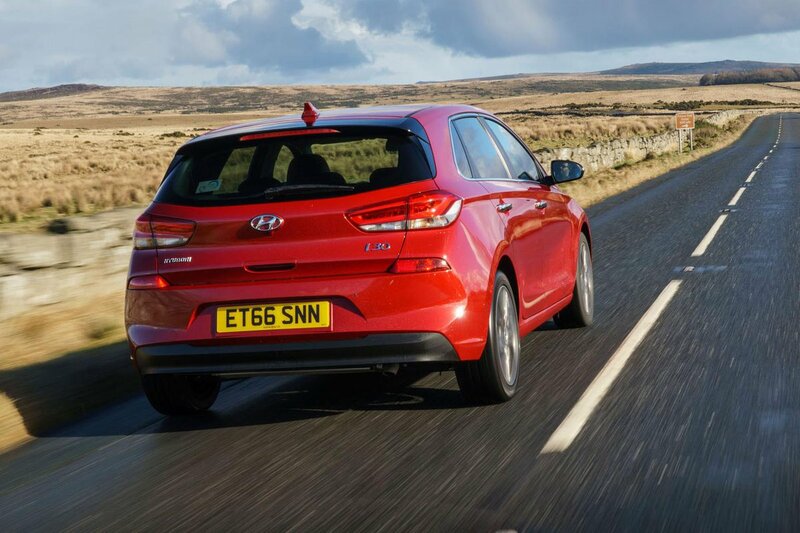 Hyundai also offers the i30 with a 1.6-litre diesel engine, which pulls eagerly at all but very low revs. Ultimately, though, it's no faster than the 1.0 petrol so is only worth considering if maximum miles per gallon is your priority. A supple ride is one of the Hyundai i30’s most endearing qualities. The suspension soaks up bumps with ease, and even higher-specced versions with larger alloy wheels provide good comfort for those on board. Rough roads make the i30 fidget around more than a Skoda Octavia, but never enough to make you truly uncomfortable. 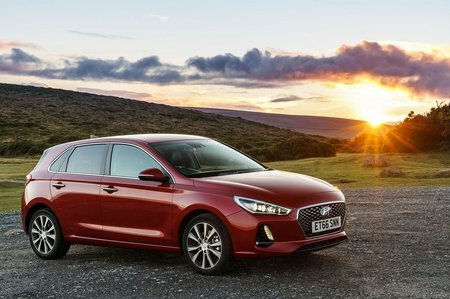 The downside is that the i30 feels floatier over bigger bumps than some of its sportier rivals, although that’s a small price to pay and something that won't bother many potential owners. Comparatively soft suspension puts the emphasis on comfort so allows more body sway than in cars such as the Ford Focus. As a result, the Hyundai i30 doesn’t feel as sharp or responsive, and you can feel its weight shifting around a little more on twisty roads. It’s far from unwieldy, however, and grips and handles perfectly well, even if its steering never really involves you in the action. Think of it as a pet dog that can’t be bothered to chase a ball but that you’d trust with your kids. The i30 is a reasonably quiet car, but it isn't as refined as the likes of the Audi A3 or Volkswagen Golf. Admittedly, both of those cars are more expensive to buy. The engines are mostly civilised: the 1.4-litre turbo petrol engine is particularly smooth, even when worked hard, while the diesel engine isn't at all uncouth either. The 1.0 petrol sends the most vibrations back through the controls, but it’s by no means terrible. Whichever version you choose, the gearshift and major controls function smoothly (if not particularly precisely at times) and make the i30 feel relatively effortless to drive. The 1.4 is available with a dual-clutch automatic which shifts smoothly, but does rev the engine harder than is necessary at times.